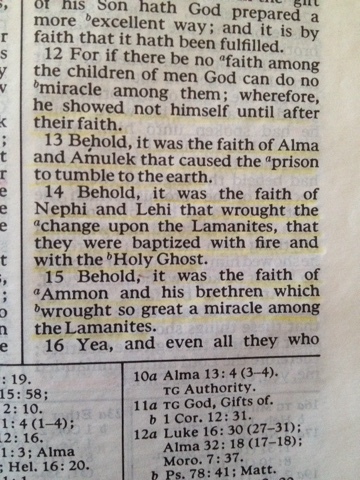 Behold, it was the faith of Nephi and Lehi that wrought the change upon the Lamanites, that they were baptized with fire and with the Holy Ghost. Perhaps we should not be so faithless as to suppose it is worth giving up on making any effort of harvesting fruit from our labors. Are we not servants in the vineyard? I am learning more and more how much unbelief I have had. (Believing false things and tons of traditions). Those things are being uprooted and pulled out just like weeds in a garden. I don't have the time or energy to let the weeds continue to grow choke out the plants. So true. I am finding it is spilling over into not just my spiritual being, but also into the physical. I am purging like never before, and it feels sooo good.